Minister urged to immediately call for a review of the GM rice. 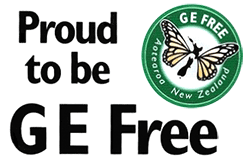 GE Free NZ is calling on the Minister for Food Safety, Hon Damien Oï¿½Connor, as a member of the Ministerial Council to request that Food Standards Australia New Zealand (FSANZ) review the draft of their GM rice approval (A1138). The whole application has been assessed using unpublished applicant data carried out by their own companies. FSANZ did not receive, or request, any ingestion/feeding studies with the application, so there is no data on whether the GM rice expressing these new proteins would cause allergic reactions or even anaphylaxis in children, immune compromised people, or the elderly. There are concerns over the closeness of some of the proteins to snake toxins . This however has been dismissed by FSANZ, who say snake toxins are not toxic if taken orally. Yet no one in Australia or New Zealand regularly drinks or eats snake poisons. International guidelines followed by the EU say that if there are significant changes to the GM food caused by the transgene, then there must be 90-day feeding studies as well as allergy testing. ï¿½As this rice is only being approved to prevent trade disruption, we demand the Minister to call for a review of the GM rice, and insist on comprehensive 90 day feeding trials that should have been provided before the approval was made,ï¿½ said Ms. Bleakley.